Adam begins his journey of four days of cinematic bliss with … the curse. This year’s Festival theme is Love at the Movies. 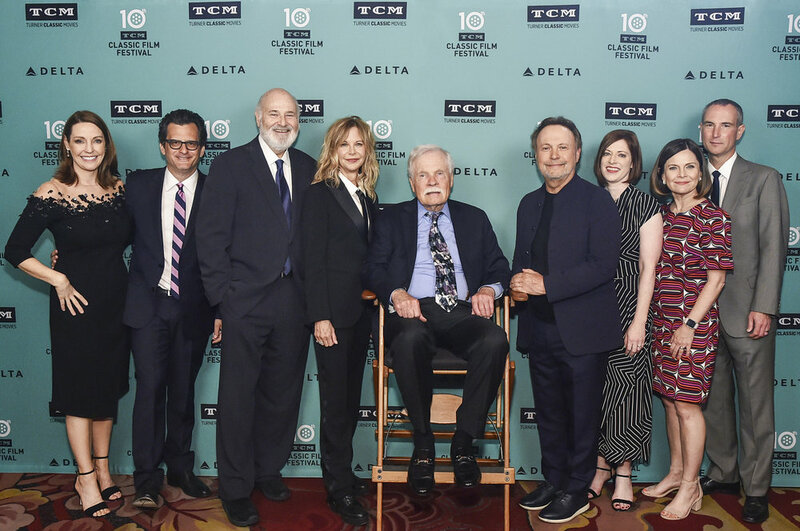 It was only fitting that they screened at their gala event the most popular Rom com of the last 30-years, and possibly the most influential; When Harry met Sally… Part of this was also a footprint ceremony for Billy Crystal. You can see my review of the Romantic comedy here. I was unable to attend any of the opening night events. In short, like many of my writing colleagues this gig does not pay the bills. So, I have a day job. My day job is my master so my Thursday wits already taken. No matter though, with Friday off it was set for maximum viewing. Enjoy these clips from the When Harry Met Sally… gala event. Here the trio discusses the infamous, now classic, Deli Scene. Next Up; The first full day of the festival and The Curse of the La Llore… I mean the curse of me. You can read all prior coverage of the TCM Film Festival here!